Tina Knowles introduced her daughter, who performed “Love Drought” and “Sandcastles” from Lemonade. Beyoncé became the most Grammy-nominated woman of all time this year, scoring nine nominations for a total of 62 over the course of her career. After an introduction from Tina Knowles, Beyoncé took the stage at The Grammys tonight, performing "Love Drought" and "Sandcastles" from her Lemonade visual album. The performance featured an array of stunning visuals, and Beyoncé shined bright in an intricate gold outfit. Beyoncé also became the first artist nominated in pop, rock, R&B and rap categories in the same year. 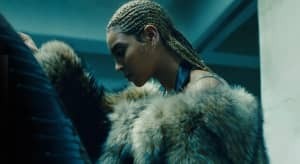 So far tonight, she's taken home the award for Best Music Video for "Formation." Watch Beyoncé's performance at the 2017 Grammys above.